San Miguel is now promoting sales of their San Mig Light beer with a custom travel pillow. With every 3 cans purchased, consumers can get the promotional item for a discounted price of $10. 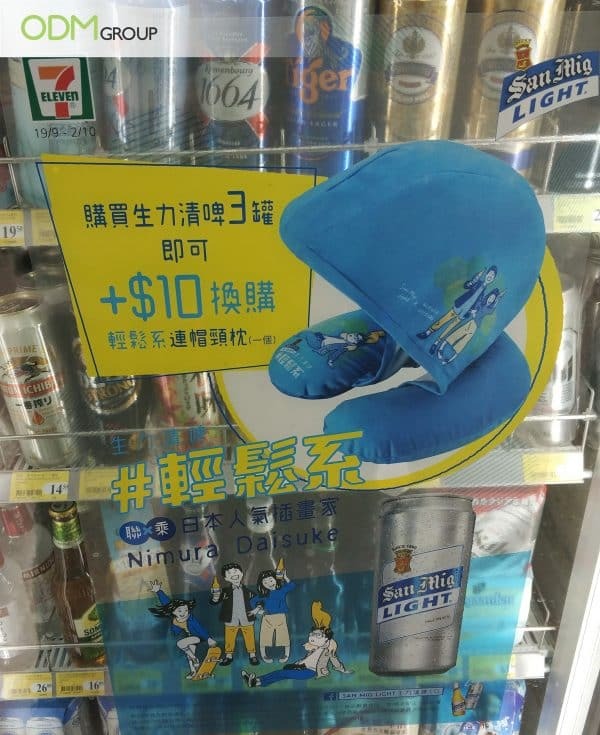 This promotional marketing campaign is titled as ＃輕鬆系 which translates to promotional drink as something which aids in relaxation. San Miguel has roped in, Nimura Daisuke, a famous Japanese illustrator, to design the custom travel pillow. 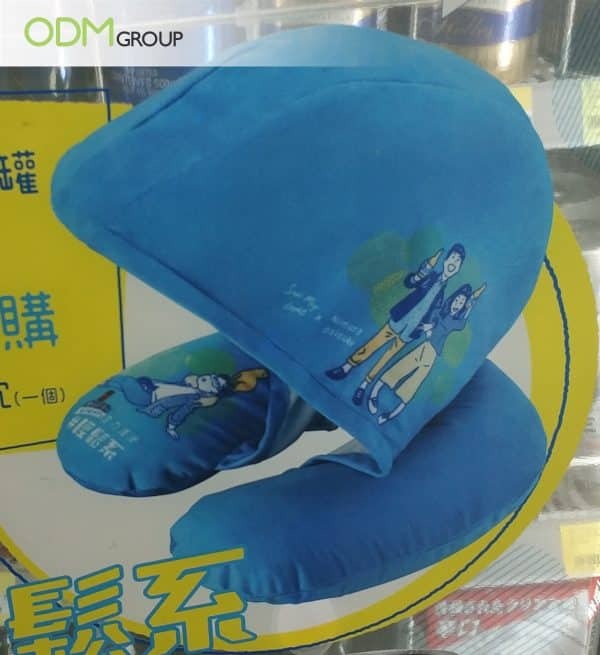 The designs are different on the custom product – a couple happily enjoying the drink on the hoodie while the other design on the pillow is of a person basking in tranquillity. Why Is A Custom Travel Pillow An Unique Promotional Item? Dual Functionality – The 2-in-1 function increases the perceived value of the promotional gift offer as it brings convenience into consumer’s life. This item will no doubt be a hit among customers as its notable features are worth it. Heightens Brand Awareness – The use of the colour blue helps to emphasize the campaign. As blue is tied with calmness and peace, it resonates with the brand image that San Miguel is creating for users. To top it off with a quirky design, it further shows the potential of reaching out to a bigger target audience by engaging with a well-known artiste. Essential Item For Travellers – The use of pillow and hoodie will be useful for travellers. It can shield themselves from the public when they feel puffy from waking up for a morning flight or lack sleep from a bad flight. Moreover, the neck pillow can bring comfort to travellers while dozing off on a flight. Hence, it is a practical and high-utility item to gift your loyal consumers! Promote comfort by offering this inflatable massage pillow! Overall, custom travel pillows are suitable for everyone and everybody as a custom promotional merchandise due to its functionality and practicality. At ODM, we can turn your ideas into reality with our dedicated team of designers at Mindsparkz to brainstorm the next big thing! Moreover, we have tremendous experience in manufacturing marketing gifts, custom POP displays, and high-quality promotional products for your next marketing campaign. Feel free to send us an inquiry today!